My pastor spoke the words during one of his Sunday morning sermons, and the line stuck with me ever since. Standing in the crow’s nest pulpit perched on the right side of the sanctuary, he told the congregation what he would say to his girls every morning as he dropped them off at school. Five years later, I find myself reciting the very same words to my own three kids each day as they slide the van door open in the school parking lot. 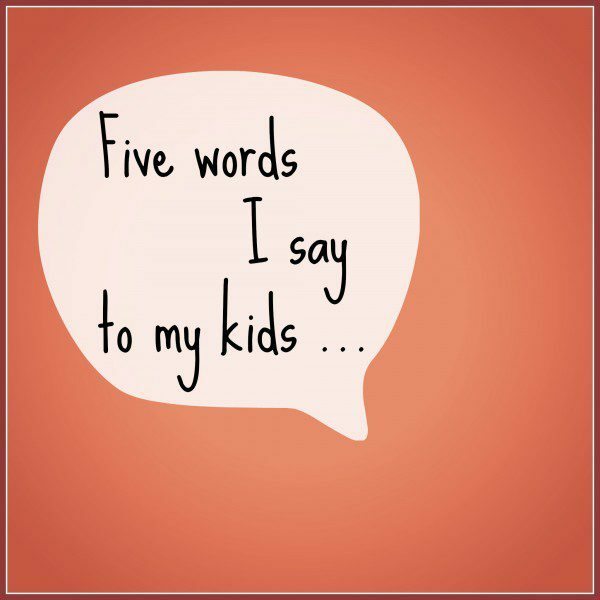 I’m over at iBelieve.com today sharing The Five Words I Say to My Kids Every Day. Join me by clicking here for the rest of this article?